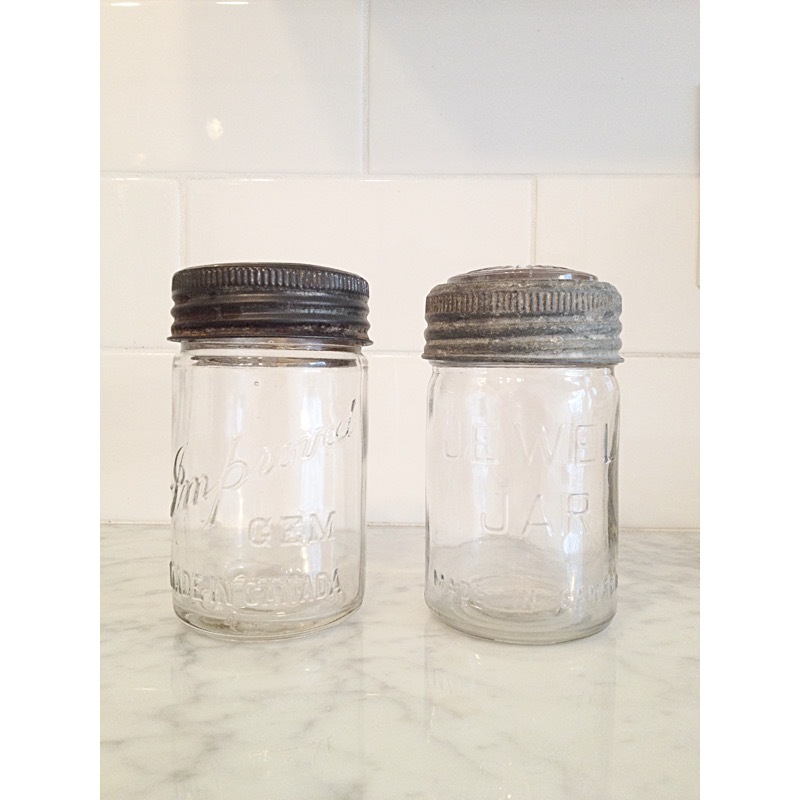 I know there are a lot of people out there who are fascinated with mason jars and use them in the most creative ways (see Pinterest). I am not one of those people. 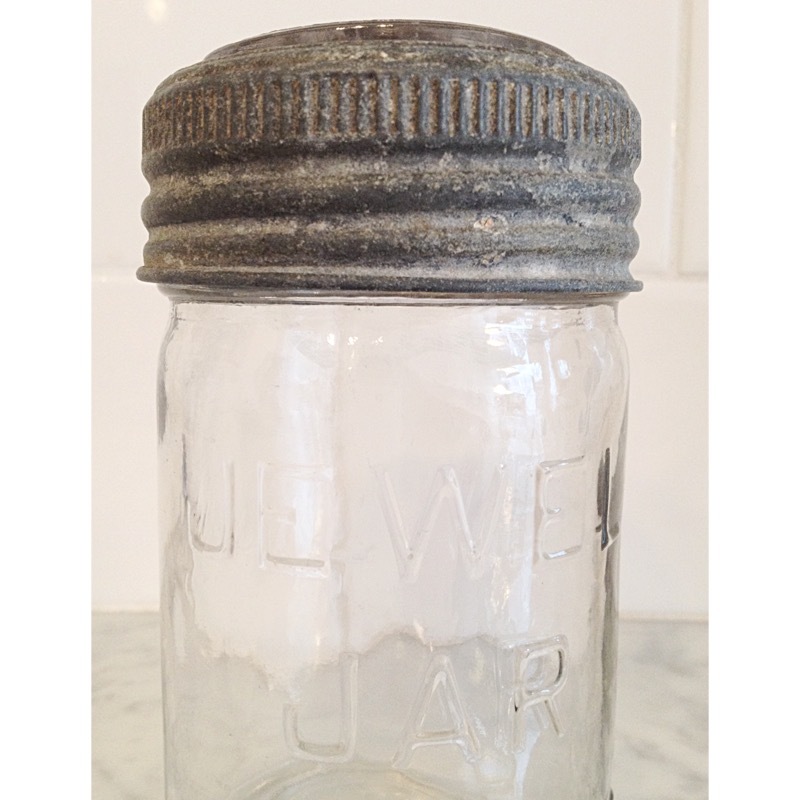 I have a couple of vintage mason jars filled with shells, but that’s about the extent of my collection. 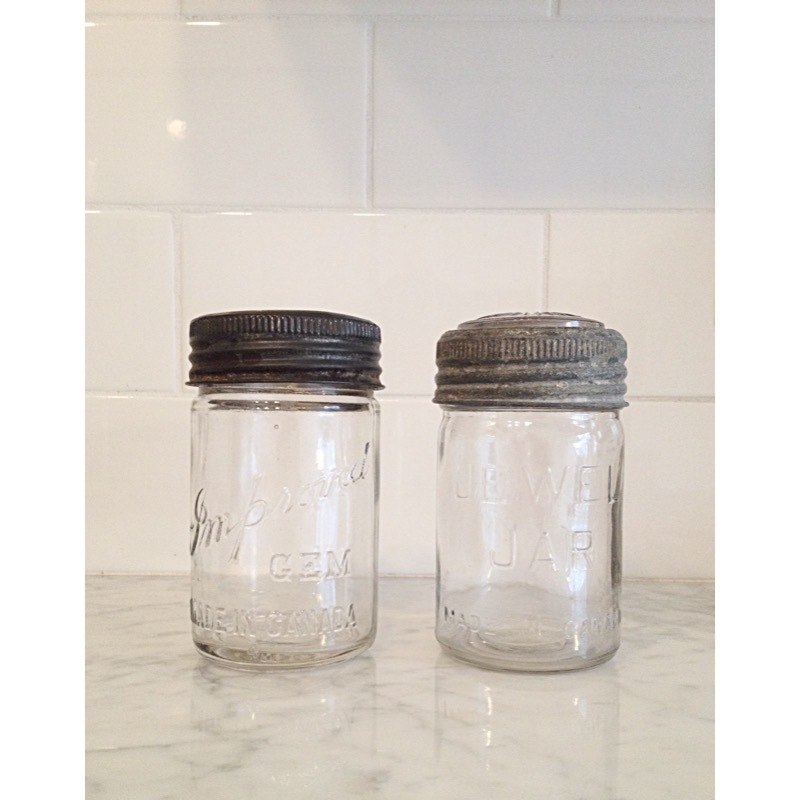 That is, until this past weekend when I couldn’t resist these two jars. 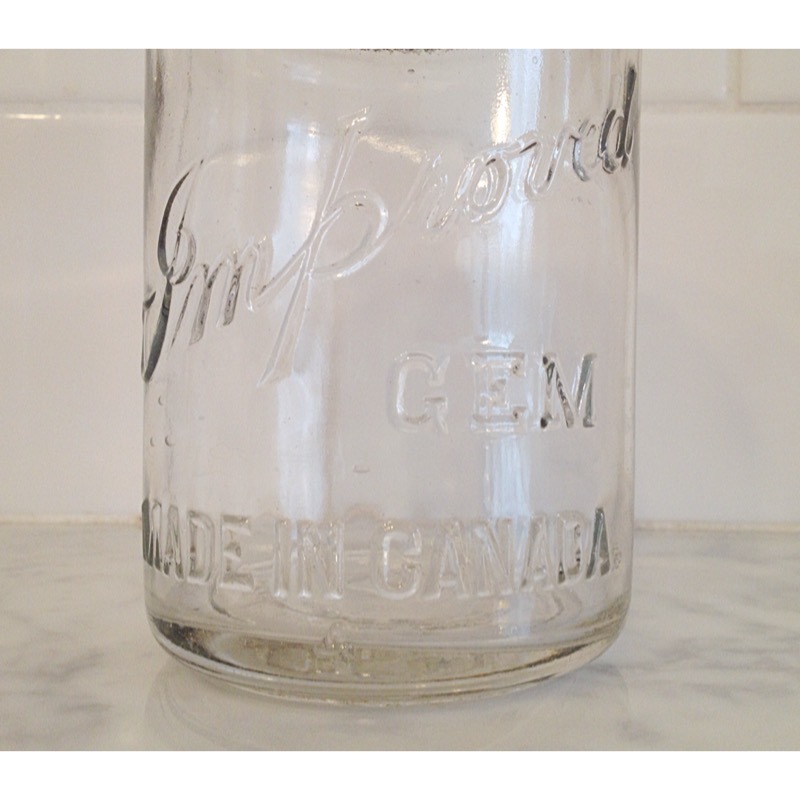 Both are made in Canada and they have cool embossing on their glass lids. Old school…I mean…vintage…goodness! Now, I just need to figure out what I should do with them.